On Tuesday 22 May 2018 we will organize in close collaboration with a number of partner companies the Powder & Particle Characterization day covering different themes associated with making of powders and particles but with special emphasis on the physical characterization and testing of Powders and Particles. Meanwhile contributions from NIZO, Malvern-Sysmex, TUDelft, Quantachrome, and Delft Solids Solutions have been confirmed. 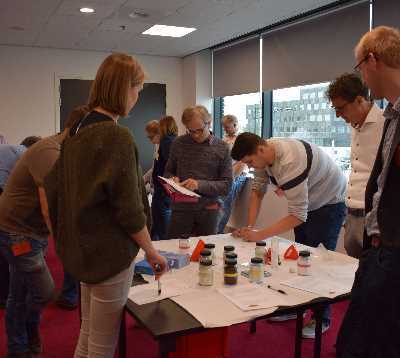 The seminar offers an interactive program designed for anyone who is working in the field of powders and granules and deals with powder production, processing, transport, storage and related unit operations. This seminar is of special interest to people working in the laboratory but surely also of interest for people outside the laboratory for getting to know the possibilities and impossibilities of working with and characterization of powders and particles. The program of the seminar Powder & Particle Characterization 2018 , that has been held on May 22nd, 2018, can be downloaded here.